My name is Evie, and i have been learning with Colin in automatic for about a year now. Colin was always calm, patient, he’s funny,cheerful although he always managed to stay professional. He was an amazing instructor and thanks to him i’ve just passed my driving test. Would recommend him to anyone, especially anxious people like me. Can’t thank you enough Colin! Simon is a great instructor and very helpful,you constantly feel safe when your driving and he’s great with helping build your confidence levels with driving,couldn’t recommend him more. After taking a good number of driving lessons with another driving school for a year, I realised that I wasn’t making much progress with building my confidence and that I was not getting the level of support I desired. I started to search for another instructor and found Signal Driving School. I must say that the response and follow up was superb and I commenced my lessons in no time with Simon, who turned out to be an excellent instructor. With each lesson, he left no stone unturned and ensured that I dropped bad habits picked up from previous lessons, improved my manoeuvring skills and generally made me feel comfortable whilst driving. 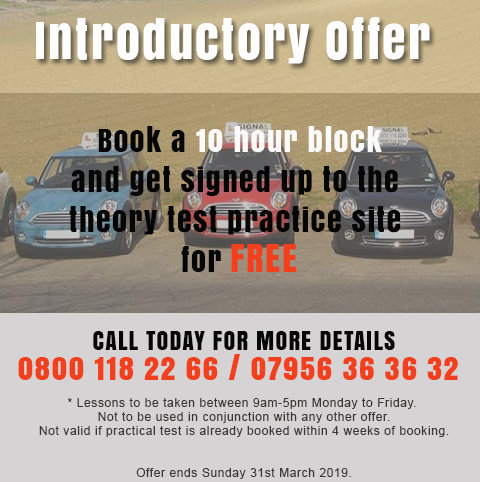 I can honestly say that I will be recommending Signal driving school to any potential learners I know, as the instructors are incredibly commited to giving excellent instruction with adequate feedback and encouragement. I’d learn how to drive all over again just to crack silly jokes with Simon in the car. Well done Simon…and Signal! After having a bad experience with another driving school I booked over the phone with Signal and was given Simon as an instructor. From the word go he made me feel relaxed and calmed my initial nerves. Always punctual and always remembering what I needed to work on for the following week. Simon is a great instructor he helped me build my confidence back up and made me into a brilliant driver that passed with only two minors. I honestly can’t thank Simon enough for putting up with me, if your looking for an instructor he is your man! He has the correct level of humour and wit balanced with great driving skills and a calming manor. Once again thank you to all at signal! Passed first time thanks to Simon and his great teaching. A calm, reliable and reassuring instructor, who also manages to have a laugh and be an agony aunt as well. I would recommend Signal to any first time drivers. I would thoroughly recommend Simon as a driving instructor as he makes you feel relaxed and makes the lesson fun; whilst giving helpful tips to make maneuvers easier! Thanks for making sure I passed, even if it was second time!! Learning with signal was enjoyable, educational and just great, from learning with other companies previous I found signal to be the better driving school, I would highly recommend it to all my friends, I really looked forward to my lessons each time they came around, the instructor was calm,complimentary, and a real laugh, I felt so at ease during the lessons, I appreciated the way each manoeuvre was explained, and how each time the manoeuvre was practised I was giving, positive feedback, along with how to improve it next time (EG look here, turn at this point). The price for each lesson was very reasonable too compared with other driving schools I’d previously inquired of. So it was a great feeling that after learning with signal I passed first time with only 4 minors. Simon is the best driving instructor that you will ever have! Passed first time heavily pregnant! Loved hearing his funny stories! 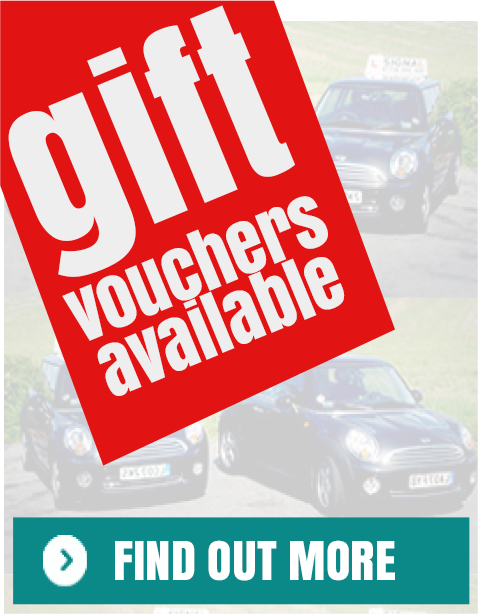 Enjoy top hoots and learn to drive! Brilliant driving school! Hey, I passed my test today with Andy. He is a brilliant instructor and has the patience of a saint. I highly suggest to recommend him as he puts you at ease and is always making funny jokes thanks Andy for making sure I passed. Simon taught me to drive several years ago, he was such a great instructor that I recommended him to my husband Martin. Martin passed his driving test this week! Thanks Simon for your calm, patient approach and for being a good laugh! Signal were an amazing school to learn to drive with. Simon was awesome and to pass first time was the best feeling. The mini is a great car to learn in and I would recommend Signal to anyone. I tried a different school beforehand but there is really no competition in my eyes. I learnt to drive with Signal driving school two years ago and passed first time. Simon was very patient and put me at ease straight away. I even mastered hill starts eventually ! Would recommend to all.